She said the country's soul is being crushed through well-planned conspiracy, which is a matter of concern. Sonia or Rahul Gandhi - Who's running the Congress? 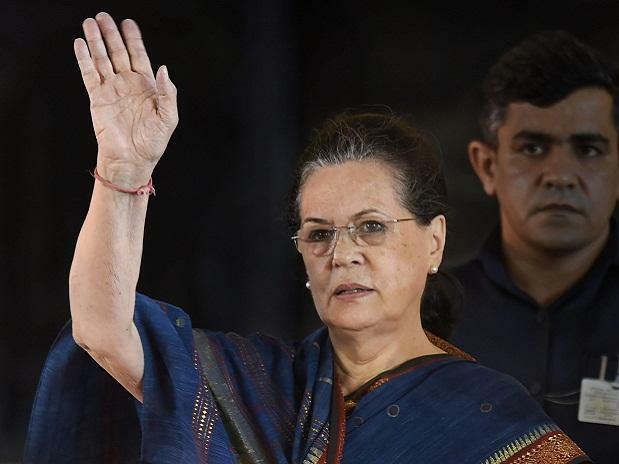 Senior Congress leader Sonia Gandhi Saturday launched an offensive on the Modi government, saying people are being taught a new definition of patriotism while those not accepting diversity are being called patriots. Speaking at an event here, Gandhi alleged the current government was not ready to respect dissent, and said when there are attacks on people who stick to their faith, this government turns away. "Today, we are being taught new definition of patriotism while those not accepting diversity are being called patriots," Gandhi said. Gandhi also alleged that the BJP-led government was not ready to fulfil its duty of enforcing rule of law in the country. On the Congress's poll promises, Gandhi said if the party comes to power, a system will be developed to monitor their implementations. "I have no doubts about the promises we have made. After our government is formed, a system will be in place to monitor their implementation," she said.